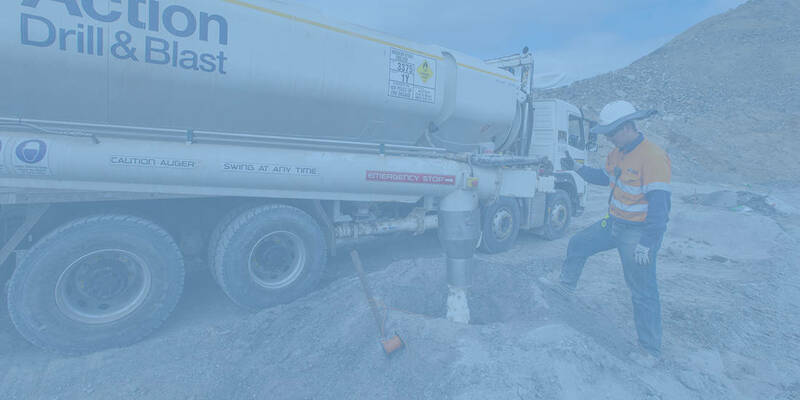 Action Drill & Blast (ADB) is a fast growing, WA-based drill and blast contractor that provides services to the mining and civil sectors nationally. It is owned by ASX-listed mining services company, NRW Holdings. ADB is targeting growth in the WA gold sector and eastern states’ coal sector with its value-adding integrated service offering. Brand One has been providing full communications and marketing strategy, implementation and evaluation to ADB since 2012. The objectives are to drive and support business development in its target markets, support community relations, and maintain an engaged, productive and safe workforce. Market research and communications audit: Management, employee and client surveys were carried out to determine business reputation, risks and opportunities. A thorough audit of all marketing activities, materials and platforms was completed to identify opportunities and areas that required improvement. Marketing and communications strategy development: A strategic workshop was held with the senior management team to determine and refine the vision, mission and values. This provided the foundation of ADB’s growth strategy. The company’s market position, value / unique selling proposition and key messages were then articulated to support the overarching business development objective. Key tender-winning criteria were identified and compelling messaging was developed for each area. A strategic marketing plan, fully aligned with the company’s vision and growth plans, was then developed and budgeted. The plan integrated strategies to influence and engage both internal and external stakeholder groups and comprised a mix of digital and traditional platforms and programs that were identified as the optimal tools to effectively reach the target groups. The plan is revisited annually as part of the ongoing business planning process. Market research: Client and employee surveys were conducted and benchmarked. Internal and external campaigns: These were developed in close collaboration with the client and supported the targeted market positioning. Campaign development gave careful consideration to all aspects of the creative, involving photo shoots as required, copywriting and design. The external campaign messaging and creative was then ‘internalised’ for the employee engagement campaign and executed ahead of the external roll-out to embed standards. External campaigns were rolled out across print and digital advertising platforms, the website, social media and marketing collateral. Internally, social media, promotional materials, high quality newsletters and a highly successful values-based employee recognition program was launched. Public and media relations: PR activities underpinned the external campaign through the consistent communication of positive news articles, case studies, features, interviews, videos and thought leadership pieces that spoke directly to the decision makers and served as evidence to further support the key messaging. PR established ADB as a thought leader and innovator in its field and established two-way communication with media. ADB personnel are now regularly sought for comment and speaking opportunities on industry themes and issues. Community engagement: A highly successful community donation initiative was launched to engage with the local communities in around ADB’s operations. An innovative app integrated in to ADB’s Facebook page was launched enabling community members to vote for their favourite causes. Sponsorships and events: Recommendations for sponsorships, speaking slots etc were provided in the plan to support of the overall positioning of the brand and company.